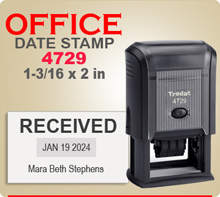 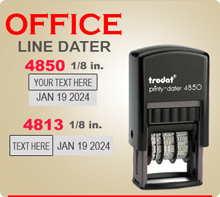 Order Trodat Ink Daters For Home Or Office In This Section. 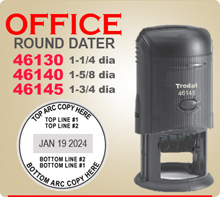 In this category you will find Trodat Round Daters 46130, 46140 and 46145. 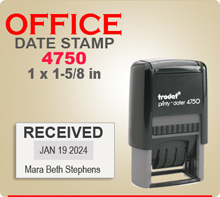 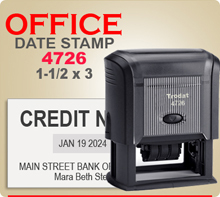 Plus Rectangle Daters and Square Daters Trodat 4750, 4727 and 4729. 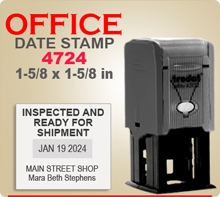 Stock Trodat 4800, 4810 and 4820 are listed. 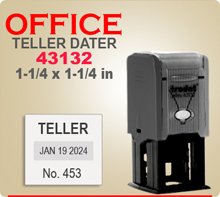 Teller Dater 43132 is also in the category. 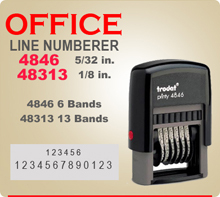 Stock Line Numberers 4846 and 48313 are here. 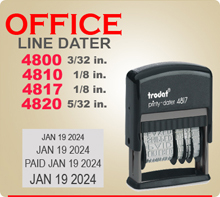 Order by 4 pm and ships next day.